During Monday's trading session, the European Single Currency depreciated against the US Dollar to 1.1320. On Tuesday morning, the rate recovered itself to the 1.1354 mark. 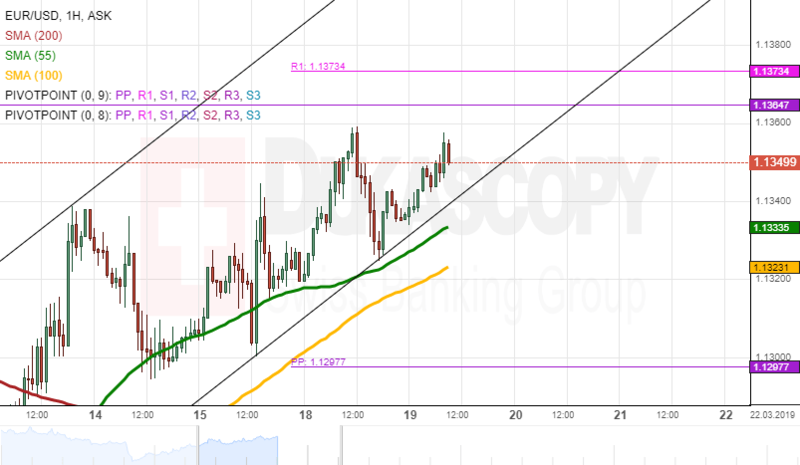 In regards to the near-term future, it is expected that the rate will surge to the monthly pivot point at the 1.1364. Besides, the rate might break the resistance level of the monthly pivot point to trade at the 1.1360 level. However, the monthly pivot point at the 1.1364 mark could retrace the currency exchange rate to push it to the 1.1340 level.